Great bunch of guys.Refreshing to get honest appraisals.Have been going to this branch for many years now. Honest, trustworthy advice. Genuine desire to provide the customer with good service and advice. Jody Jones at your Penrhyn Road Kingston upon Thames could not have been more pleasant and helpful. Perhaps you would pass on my thanks for his kindness today. Have visited your Penrhyn Road Surbiton Branch many times - always a good experience. Today was no exception. All members of staff good ambassadors to National Tyres. Jody Jones certainly a good example of customer service. Ten out of ten. Please pass on my thanks for the kindness shown by Jody. Excellent customer service and great and friendly staff. Professional team to sort out all the issues. Jody, Jamie: thank you for your quick assistance, matched price, and last but not least: for the great experience. I would recommend this branch without reservation. The prices were good which brought me to your Kingston centre, as well as immediate availability of the not-so-common tyre sizes I required, then the customer service I received was excellent. Work completed to a good standard. Always a pleasure visiting your Penrhyn Road, Kingston upon Thames branch. Friendly, helpful, good advice, efficient and just thoroughly decent staff. Kwikfit- be very afraid. Great customer service, quick, efficient, knowledgeable and very reasonable prices. I received prompt and efficient service. Always get helpful,honest from the staff. Reliable and flexible on fitting appointments. The excellent service provided by Joshua Bamford. Joshua was friendly, polite, was professional in his approach and helped me to unload the boot of my car to get at the locking wheel nut key all in his stride. Great customer service. I was impressed by the prompt arrival and attention given by the fitter. Also very happy with the office staff who dealt with my order. Excellent personal service from Mark and his team together with an excellent deal for 4 tyres. I have alloy wheels and the insides needed refurbishing which the team did on a complimentary basis. Where very helpful and kept me fully updated on the brakes repair. Identified an issue with a brake hose, kept the part to show me and made extra effort to get the new hose so that work could be completed on time as promised. I also used a discount voucher which made a big saving on the final cost. Great work and will be back again! Very friendly efficient service, very impressed with the knowledge and advice from the team. Friendly,helpful gave us a good deal. Excellent service and price. Chose the buy one get one free option and got 2 mid range tyres for less than I paid for a single front tyre last year. Manager at national tyres , Cambridge rd, was very friendly and professional(Alastair). I received a quick and efficient customer service in sorting my car's exhaust problem. The service was efficient and quick, and the staff involved were all helpful, knowledgeable and friendly. It's also a big bonus to know that the work is quality controlled by someone other than the person who carries out the work. Polite, helpful, knowledgeable, curtious. I will be going back to them again. 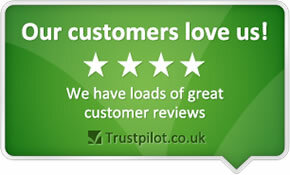 Polite reception, attentive fitters, overall nice experience. First class staff, well trained, knowledgeable, informative and welcoming. A very good price for the tyres I purchased, great service and a quick fitting. A very painless experience. Three cheers for Alistair at your Cambridge Road, Kingston branch. I think you have a gem there. Very friendly and efficient service. Even one of the technicians who I had not delt with gave me a cheery wave as I left. friendly, went the 'extra mile', efficient. Polite and friendly staff, trustable! Convenient location; not too crowded; competitive pricing; relatively clean; interested/ motivated staff; broad range of services offered. Friendly, helpful service. no patronising attitude to me ss a grey-haired woman. Tyres changed within the hour. Overall work was good and done quickly. Price of service seemed reasonable. Parts were ordered quickly. Gave relevant information. The staff were police and courteous. Very efficient, friendly and made the kids feel part of the experience, a real rarity.